The Skunk: There are four species of skunks in Colorado: striped, hog-nosed, eastern and western spotted. The most common in the Denver metro area is the striped skunk (Mephitis mephitis). 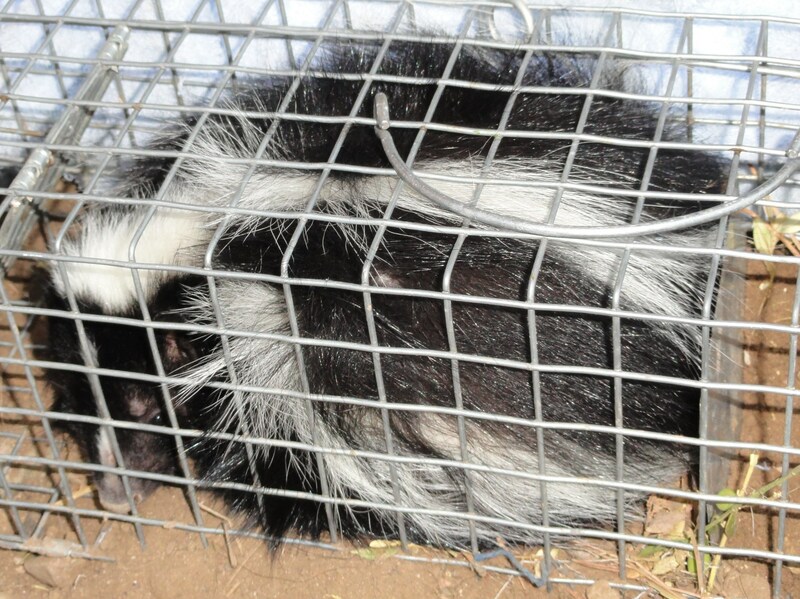 All four skunks are armed with a musk gland that can spray mucus like liquid from under their tail. Most of us in Colorado are familiar with this animal and know to stay away. The Skunk has adapted well in the city and will raid garbage cans, cat bowls and even go after the fish in personal ponds. Being nocturnal, they are good at going after mice and are rarely seen. However they never go unnoticed when they’ve sprayed the neighborhood dog. Because they are not good at climbing they make their home under ground. Sheds, concrete patios and detatched garages are often homes for skunks. When a skunk makes a home, they will fight to keep it. Many people erroneously attempt to rid themselves of a skunk by using moth balls and ammonia. A skunk has to be physically removed. If given a chance the female will give birth to four to six young. During this period the mother can stay dormant for several weeks giving care to her young and will make an appearance soon after. It is easy to forget about the skunk during this period of time, but do not be fooled into thinking the skunks have vacated. No matter the type of skunk, all types can carry rabies and/or fleas which can carry the plague. Having these animal removed is important to keep the community safe and disease free.